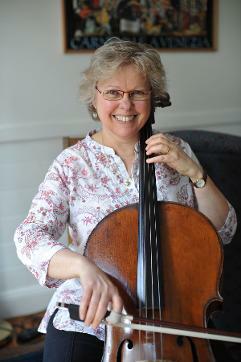 As a qualified and experienced musician, I teach cello in the beautiful Blue Mountains, west of Sydney. I'm passionate about teaching and nurturing students to love music and to love playing the cello. Over my more than 20 years of experience, I've undertaken many teacher training courses to grow my skills as a teacher, as I firmly believe that music can enrich the lives of all students. I teach Suzuki Method and I also prepare students for AMEB examinations, as well as HSC exams and auditions. Whilst a weekly face to face lesson is the best option for learning, in some exceptional circumstances there is also a possibility of Skype lessons. If you would like to make an enquiry for lessons, please use the contact form below as I'm happy to discuss your needs. I believe that success is not a matter of luck or talent , it is a matter of ability and ability can be developed. For more than 50 years , many thousands of children around the world have learned to play music using the Suzuki method. The Suzuki method is an approach to music education that helps every child find the joy that comes through music making. Through the mother-tongue approach, children develop confidence, self-esteem, self-discipline, concentration, and the determination to try difficult things. In the environment of loving support fostered by the Suzuki method, children develop a lasting enjoyment of music. Dr. Suzuki’s primary goal was never just to teach young people how to play musical instruments. Rather, he recognised the unique contribution music can make in the total learning process. He believed that with the proper environment and educational process and through the medium of music, sensitivity and understanding may be raised in children, creating for each child a better life – and for us all, a better world. The Suzuki method is available for several instruments and I offer cello tuition, as an accredited Suzuki teacher, in the Blue Mountains. Every child can learn. Talent is not inborn, but is developed in a nurturing environment. Involvement of the parent. There is a teacher-student-parent triangle with the belief that environment nurtures growth. Begin musical training early. Dr. Suzuki found that young children can learn to play an instrument very well. Encouragement. Encouragement is given in an environment of enthusiasm and fun. Step-by-step mastery. This approach is success oriented, and skill is broken into small segments easily mastered by the student. Success breeds success. Repetition is fundamental to success. Active repertoire of all pieces learned. The Suzuki approach encourages the child to play each of the pieces learned to enjoy the pleasure of mastery. Learn by ear. This is nurtured in a gradual manner until it becomes a highly developed skill. The process is totally different to rote learning, which is discouraged. Reading music. When the child is ready to read music (as determined by the teacher), music notation is quickly assimilated by most children, as a result of their vast aural and technical background that merely needs translation into visual notation . Children learn from one another. Participation in group lessons is encouraged. My experience learning the cello during this time has been nothing short of amazing. I studied cello at the University of Sydney and the Sydney Conservatorium of Music with Nathan Waks, and I have participated in workshops with baroque cellists Daniel Yeadon and Hidemi Suzuki. I hold a B.Arts (Music) from the University of New England, AMusA (cello), a diploma in Suzuki teaching and I'm a Suzuki teacher trainer. I've taught at various schools, including Meriden, St Paul's Grammar, Penrith Anglican College, and Macarthur Anglican School, and at the World Suzuki Conference in Matsumoto, in Japan. Most recently, I devised and implemented a specialised program for ACO Foundations at St Marys North Public School, which the University of Canberra's Dr Anita Collins assessed as being "an innovative string program that could change the face of music education in Australia". Currently, I give lessons at my private studio in the Blue Mountains, where I teach Suzuki Method and I also prepare students for AMEB examinations, as well as HSC exams and auditions. An active member of the Suzuki Association, and the Australian String Teachers Association, I'm sought after to tutor at music camps, workshops, summer schools and other events. I have performed with several early music groups including Fleurs de Lys, Jacaranda Consort and Panorama, and have given regular performances across the Blue Mountains. Additionally I have toured regionally for Musica Viva Australia.